Sushi vinegar (left) is a type of flavored vinegar that is used for making sushi. It has sweet and umami flavors. Rice vinegar (right) is one of the most widely used condiments in Japanese home cooking. 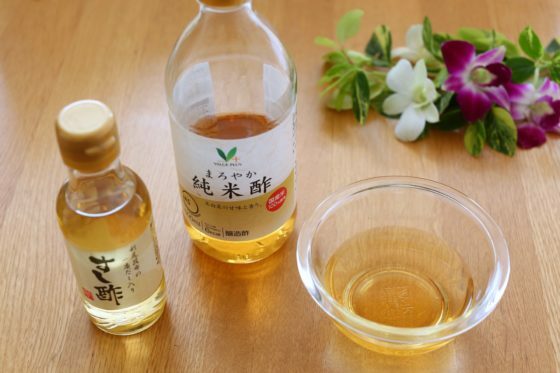 If you cannot get hold of any rice vinegar, you can substitute it for any type of vinegar that does not have a strong aroma. Konbu kelp is a type of seaweed that is commonly eaten in East Asia. 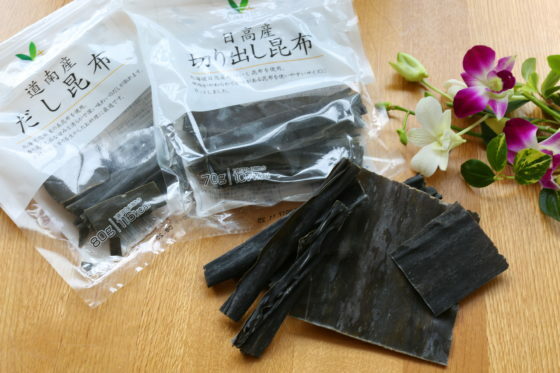 In Japan, dried konbu kelp is used to make stock for cooking dishes. 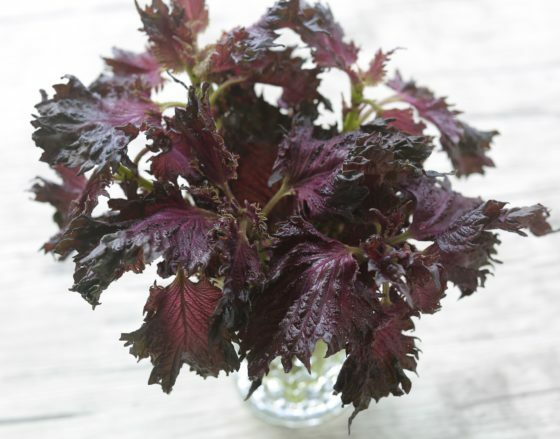 Red Shiso is called akajiso in Japan.It is often used for coloring umeboshi (English: pickled plum). The shiso leaf turns bright red when it reacts with the umezu, the vinegary brine that wells up from the plums after being pickled in their vats.